But, it isn’t just the walls of a house that use bricks to help with support. Other parts of structures will use them too such as the chimney and the fireplaces. Though this happens more on old fashioned houses than on new ones, we are lucky enough in Fort Worth to have enough history to mean that this is a viable service to offer. In fact, as a metropolitan city, we have all manner of buildings to work on. Therefore, here at Fort Worth Brick Repair services in Texas, we are a versatile company with a dynamic heart. Chimneys and fireplaces are perhaps more likely to experience damage than other parts of your house. This is because they are at risk of fire damage but also because they are the home to smoke damage on a regular basis. Quick side note: if you want to remove smoke damage from hard surfaces then the best place to go is a sandblasting company. However, if it is the brickwork that needs repairing or the damage is significant enough to warrant brick replacement, then we are the contractors to get in contact with. The principle is the same as with most kinds of brickwork. Firstly we check the mortar and make sure that it is not about to crumble. Often, jobs can be done right here - with some mortar repair. We chip away at the mortar between the bricks and then we replace it with a brand new solution that is much stronger and newer. Afterwards, the brick structure should remain strong for a long time to come. As we said, often, this is the a viable option, but every now and then, we run into problems that need a little bit more thinking about. First things first - we need to check that there aren’t any nests in your chimney. We know you might not think there are, but birds love to set up shop on the roof and we need to check before work can get done that we aren’t destroying a habitat at the same time. Don’t worry, if we find anything, we will just move it to a more suitable location. But, aside from standard brick decay, what are the things that can cause fireplace and chimney damage? Well, for a start, we have to battle with water infiltration. This is when the chimney can become host to leakage and it can lead to problems if left for a while. 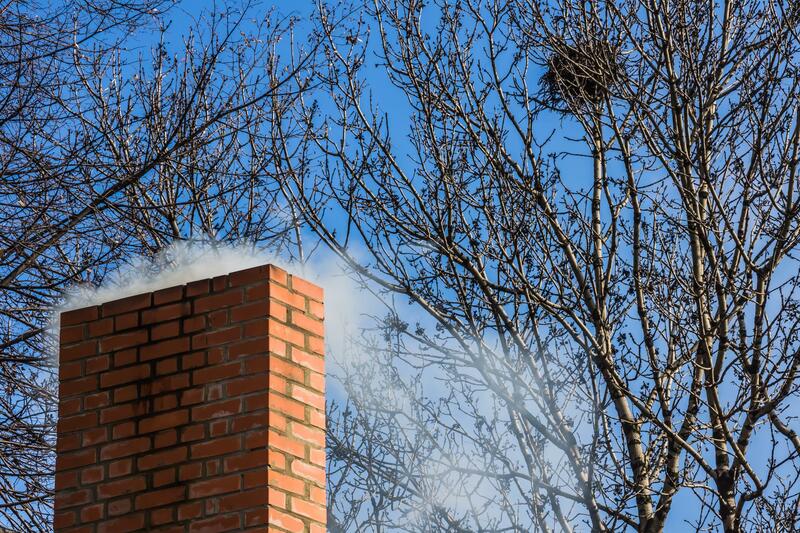 If water enters the chimney, through the weather and through cracks or through faulty flashing where the chimney meets the roof, then several issues can occur. The way to fix this is though a chimney crown or through the tidying up of the brickwork in key areas. If left, crumbling, rusting and disintegration can occur. The, you have the problem of improper dimensions. If, when the house was being built, the dimensions were not measured properly, then sometimes chimneys are too tall to prevent downdrafts and too short to allow the smoke to roll properly. We can help with both of those.